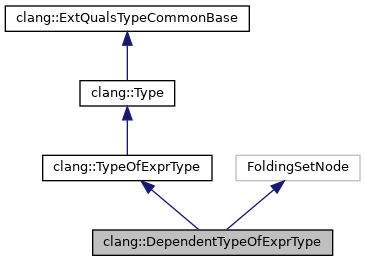 Internal representation of canonical, dependent typeof(expr) types. This class is used internally by the ASTContext to manage canonical, dependent types, only. 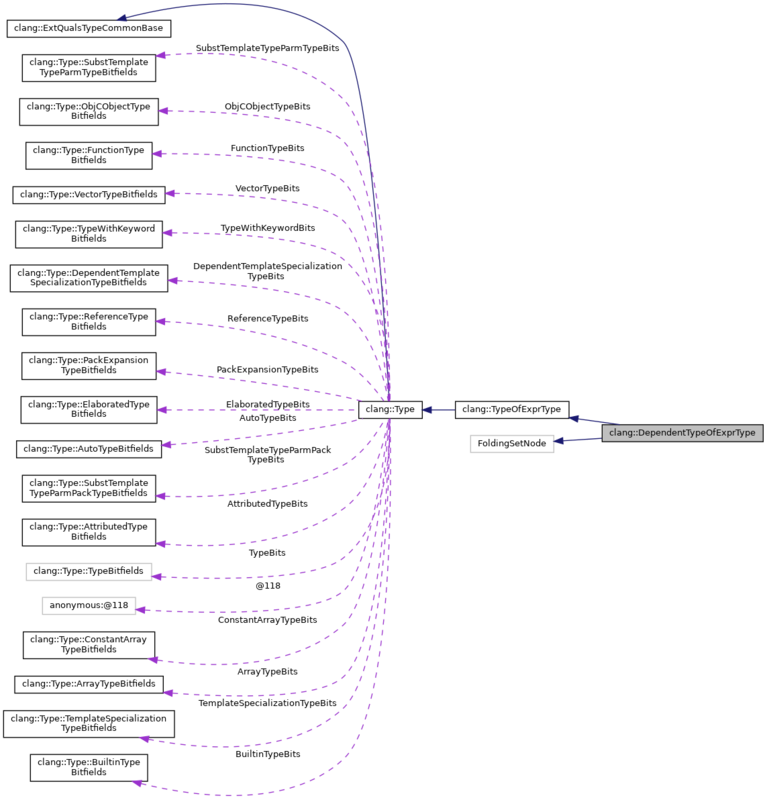 Clients will only see instances of this class via TypeOfExprType nodes. Definition at line 4214 of file Type.h. Definition at line 4219 of file Type.h. Definition at line 4222 of file Type.h. Definition at line 3181 of file Type.cpp.